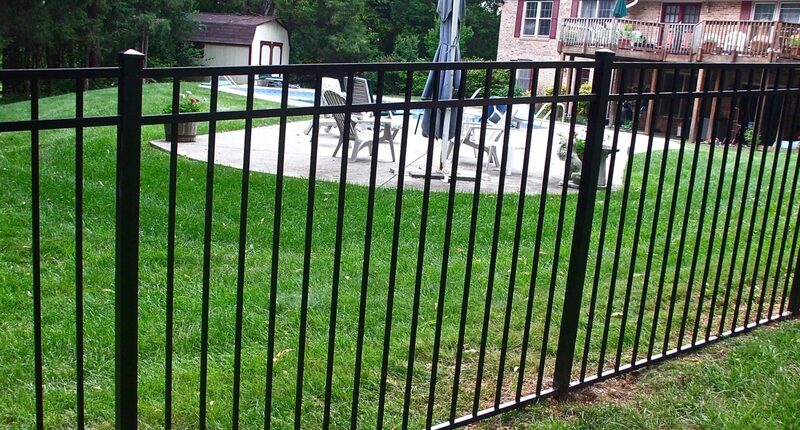 We offer an extensive number of fences in various styles and heights. We build with quality material and use best building practices. Aluminum fences come in several custom options that can be discussed at an estimate. Aluminum fencing is low maintenance and extremely durable. It’s a great option. There are many options for height and style available. 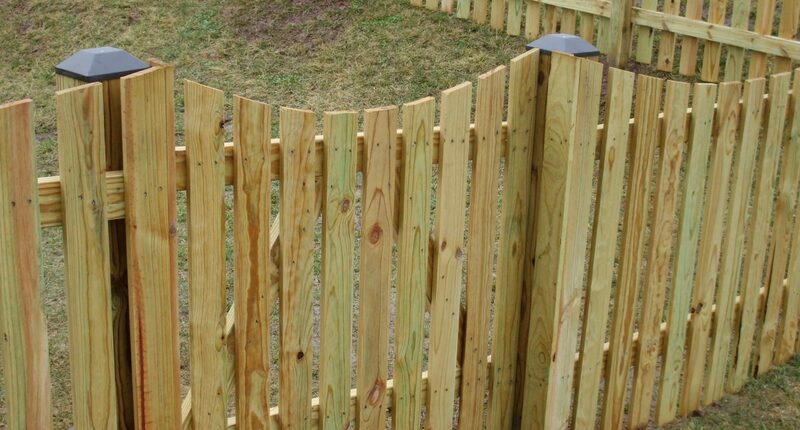 The 5 Board Estate fence is made from pressure treated material. 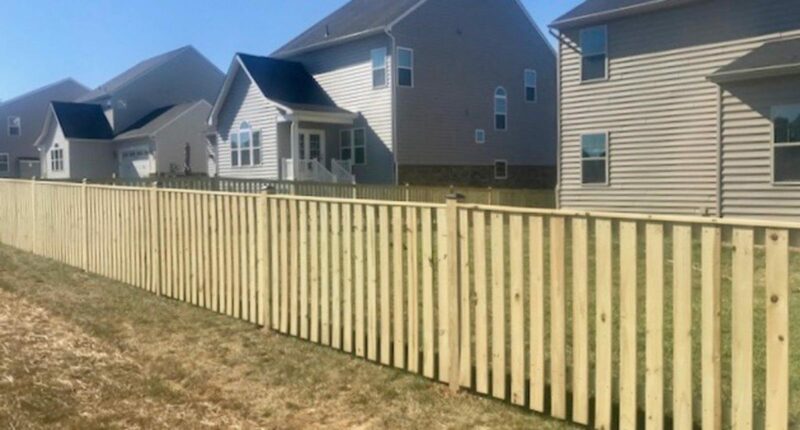 This fence is generally built at a height of 4 feet with black vinyl post caps. Wire can also be added to this fence. It can be painted after installation for an added fee. The 3 and 4 Board Paddock is a great fence option that offers a rustic but elegant look. Paddock fences are built with rough cut wood and are typically painted black or white after instillation. The standard height is 4 feet. Wire can be added as an option. 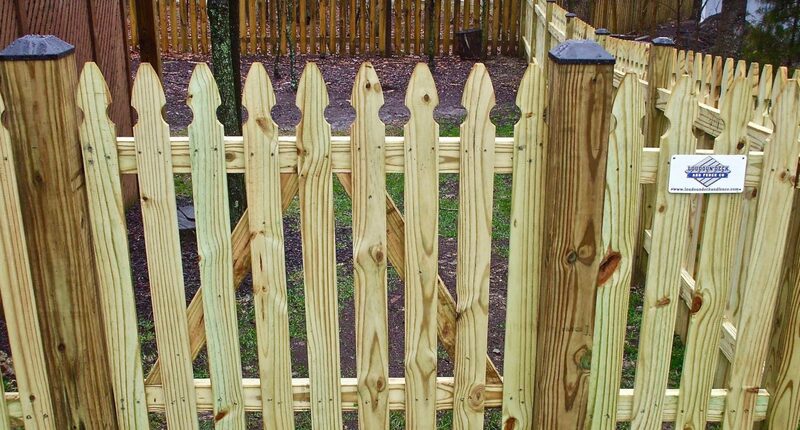 Picket fences are a great addition to any home. 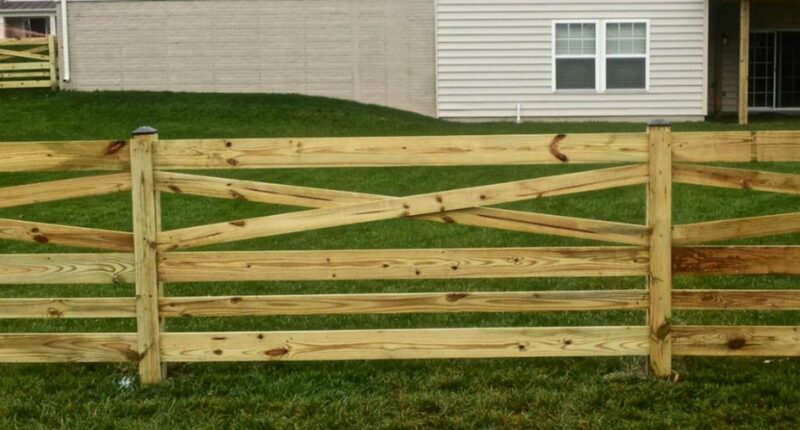 They are the ultimate American style of fence. 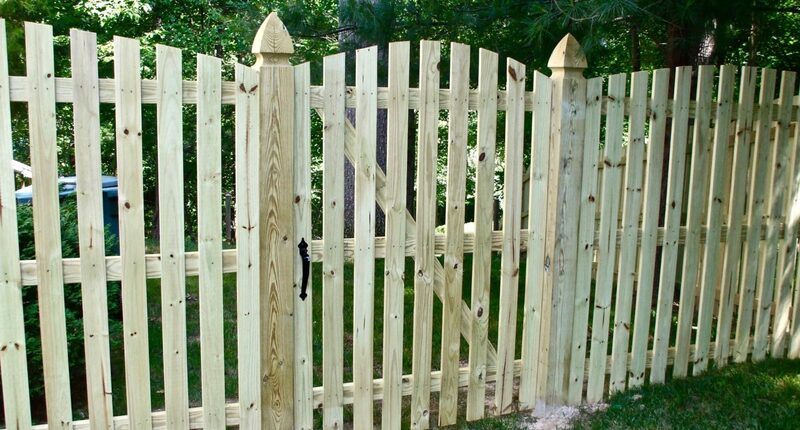 The arched picket fence is an elegant option that is typically built with gothic style posts (as pictured) at a height of 4 feet. Different post options are available. The Colonial Gothic Picket fence has a historical feel with strong, bold-looking pickets. It’s generally built at a height of 4 feet with black vinyl post caps. Other post options are available. The Dog Ear Picket fence is built at a height of 4 feet with black vinyl post caps. Custom options are available. 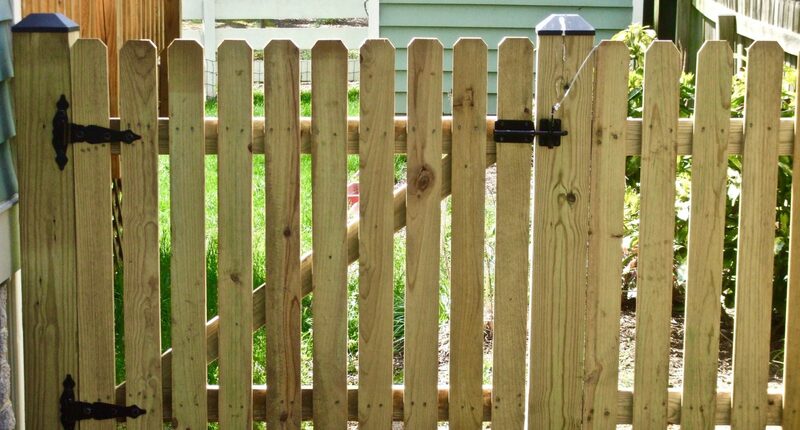 The Flat Top Picket is a very elegant looking fence with sleek and clean lines. It’s generally built at a height of 4 feet with black vinyl post caps. 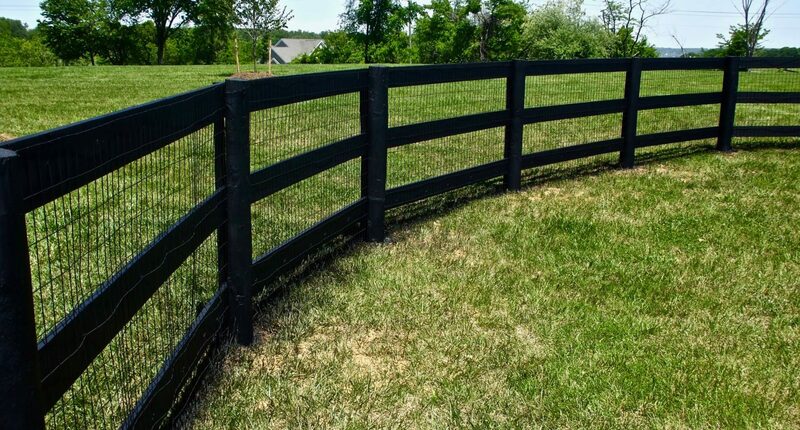 The Mount Vernon style fence is a great option for properties that have rolling hills. It’s generally built at a height of 4 feet with regular posts and black vinyl post caps. Colonial Gothic posts are a commonly used option. Privacy fences are a popular option. 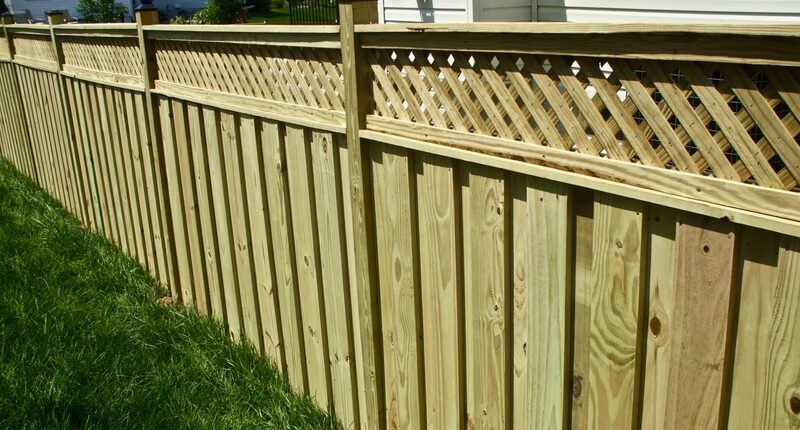 The Board and Batten Privacy fence provides an intricate design on the top of the fence. It’s built at 6 feet and provides the most privacy. The Board on Board Privacy fence is 6 feet. It is unique because it appears solid from the front, but it is see through from the side. It’s the most commonly used fence for townhomes. 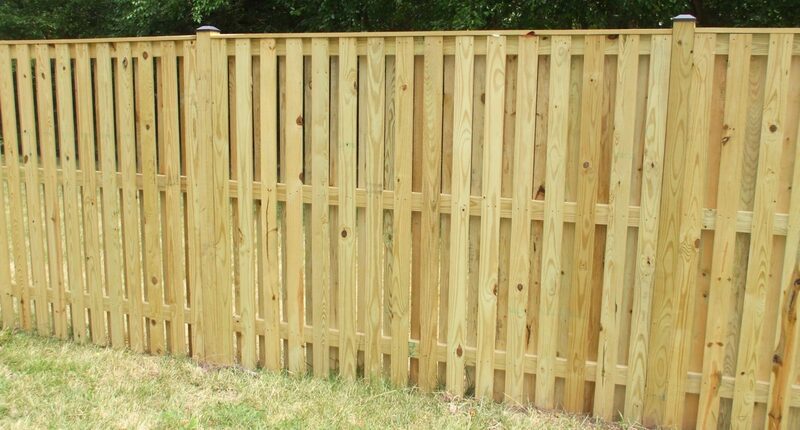 The Solid Board Privacy fence is 6 feet. 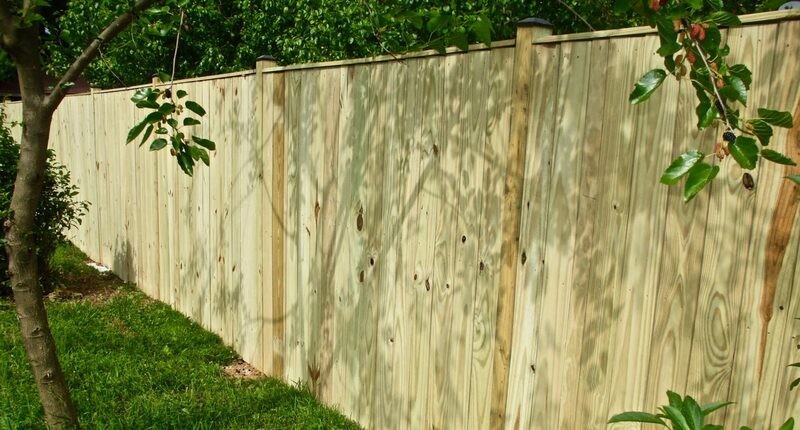 It is the most economical privacy fence available. 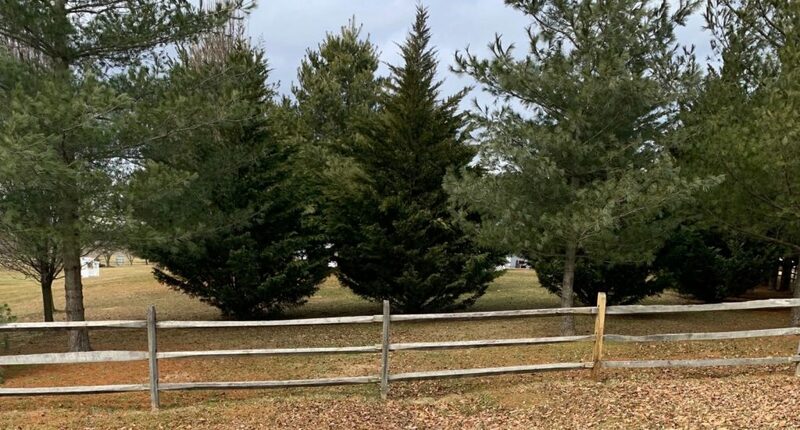 The Split Rail fence is generally installed in more rural areas because of its rustic feel. This fence is built with rough cut wood at a height of 4 feet. Wire is optional. All picket fences can be modified for swimming pools.